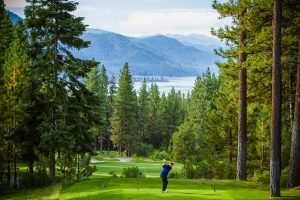 While watching the likes of Tony Romo and Steph Curry go for the trophy at the American Century Celebrity Championship — which takes place for the 28th straight year at Edgewood Tahoe through July 16 — you should also be planning your own journey to what we’ll call the Tahoe-Reno Golf Trail. 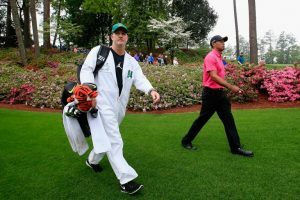 Charles Barkley, he of the big heart, sometimes big mouth and godawful golf swing, certainly loves this part of the world; he hasn’t missed a single ACC since its inception in 1989. “I just love coming back to Tahoe, I have so many friends there and it’s one of the most beautiful places in the world,” he’s said in past years, and he’s not alone. 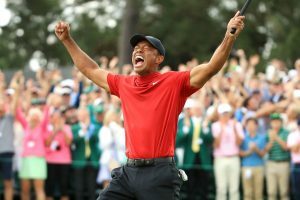 Among the 80-odd celebs who tee it up at Edgewood every July, not one would say an invitation to play is less than on a par with a ticket to, say, the Oscars. Yes, Edgewood is truly great, a 50-year-old track that’s been updated over the years but from day one has boasted one of the finest views in the game. And now it’s even better with the brand new Edgewood Lodge just a few yards from both the lake and the first tee. But the George Fazio design is just one of nearly 50 courses within an hour’s drive of the air hub of Reno, ranging from uber-affordable munis to high-end resort and private clubs, laid out on a variety of terrain that no other West Coast destination can touch — high desert, parkland, mountain, even pseudo-links. In other words, step foot onto just a handful of these beautiful layouts while basking in the region’s outdoor and indoor recreational wealth, and you’ve hit the jackpot without pulling one lever or risking one pass line wager. 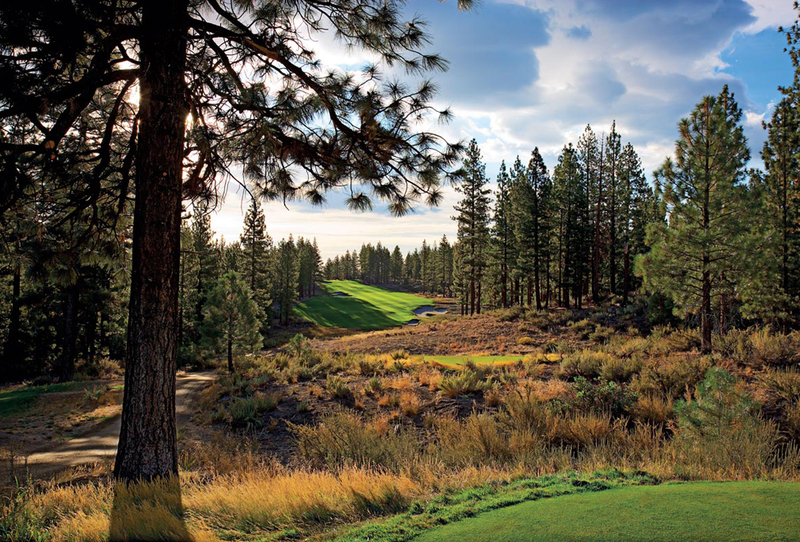 Let’s go beyond Edgewood and around the Northern Sierra/Northern Nevada horn for a two-course taste of several “ingredients” in what should be your next great summer golf feast. We’ll start in the region’s southern section, then move north in part two. About a 40-minute drive north from Edgewood, perched above Tahoe’s more laconic north shore, Incline Village’s Championship and Mountain courses comprise one of the area’s most potent one-two punches. 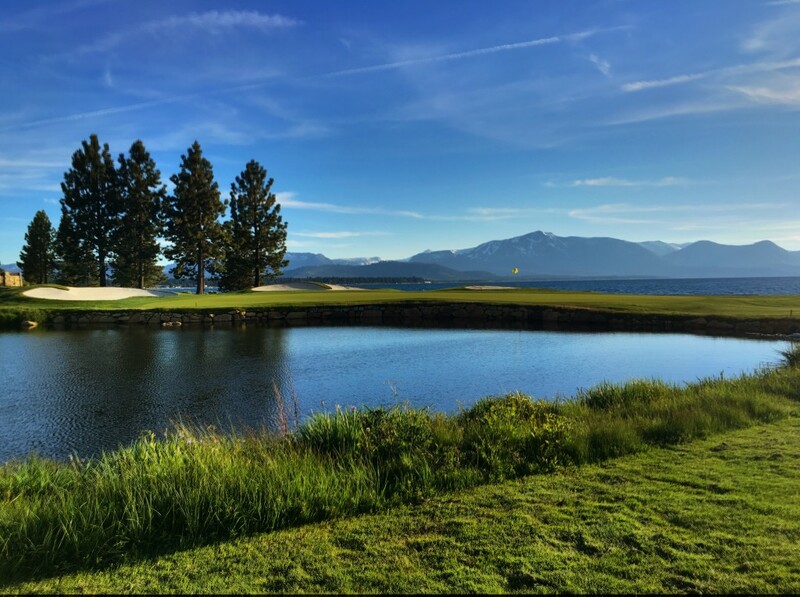 Originally designed by Robert Trent Jones, Sr., in the 1960s with a big spruce-up by Kyle Phillips four decades later, the Championship Course climbs and swoops along the lower flanks of Mount Rose with plenty of on-high, pine-framed views of the lake along the way. A little further up the hill is the sneaky tough Mountain course — 14 par 3s, four par 4s and more than enough short game degree of difficulty to keep anyone’s wedge sharp. Extra Holes: PGA teaching pro Robyn Bradford’s “Get Golf Ready” summertime teaching series is geared for beginners or coming-back-to-the-gamers. She covers swing basics, etiquette, rules and more in five lessons, offered select weeks through mid-August. Head east from Edgewood over Kingsbury Grade and you’ll wind your way to scenic Carson Valley and its twin towns of Minden and Gardnerville, with the village of Genoa (dubbed Nevada’s first permanent settlement) a quaint kicker — and home to the Lakes and Ranch courses at Genoa Lakes; the latter, designed by the late Jim Harbottle with an assist from Peter Jacobsen, is the one to play, laced along the Carson River and winding through wetlands and stands of cottonwood. 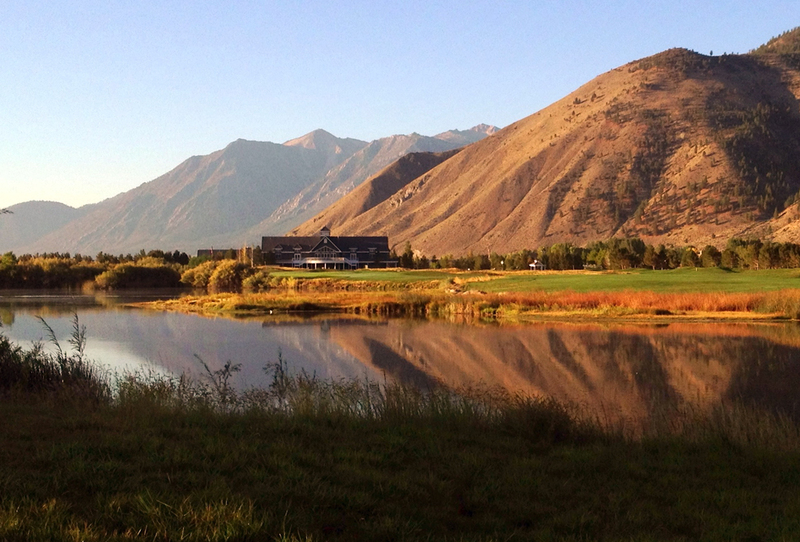 There’s also Carson Valley Golf Course, an old-school collection of tight fairways and tiny push-up greens nestled among even bigger cottonwoods (and right on site is a can’t-miss Basque eatery serving hearty sheepherder’s meals. Extra Holes: Stay at the friendly Carson Valley Inn in Minden to scratch that gambling itch, hang by the pool and perhaps catch a show during its outdoor concert series. And if you return next year, check out Bently Heritage Distillery set to open right next door — a converted flour mill and creamery that will brew white spirits to start with bourbon and single malt soon to follow. Halfway up U.S. Highway 50 between Carson City and Lake Tahoe, hidden in its own mountain valley, is Clear Creek Tahoe, the Ben Crenshaw/Bill Coore-authored centerpiece of a masterplanned community of high-end homes that originally opened in 2010 and has gone through a couple ownership changes since, finally finding the team it needed to make it a long-term success. 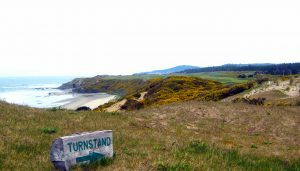 The golf course itself is, as you’d expect, magnificent: Somehow Coore and Crenshaw translated their naturalist, go-with-the-land ethic that has worked so well on coastlines and sandhills for years into a singular mountain experience that, if you’re fortunate enough to snag a guest tee time (with designs on building a home there, of course), will sear into your soul for good. Just bring your best putting stroke and most accurate tee shot. Extra Holes: Carson City itself boasts a solid run of public courses including Eagle Valley West and East, Silver Oak and 27-hole Empire Ranch. Venture east and you’ll run into Dayton Valley, a solid Arnold Palmer effort; go north over the hill and you’ll find Toiyabe Golf Club, a previously private gem.